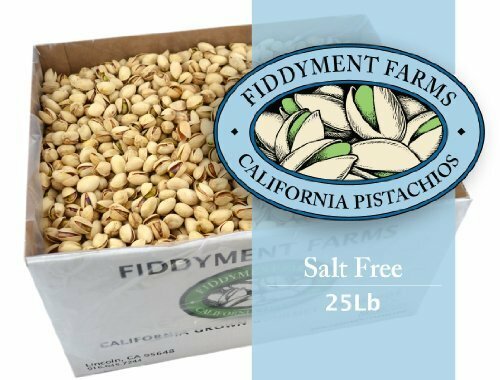 25 pounds of our gourmet Salt Free in-shell pistachios. ;A delicious and healthy snack, naturally Gluten Free and Non-GMO. ;Pistachios processed in small batches to ensure freshness and top quality. ;Naturally opened California grown jumbo sized pistachios. ;The premier gourmet pistachio company since 1968.